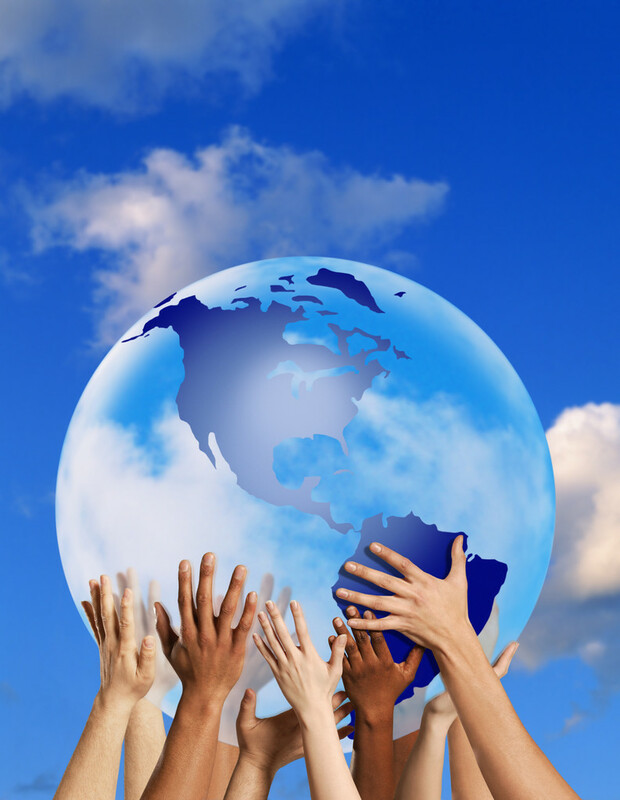 What do you think of when you think of your Target Language country/countries? While you may have spent some time there – and traveled to various spots – your students may have not. 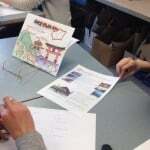 As a Japanese teacher it seems that Tokyo is the number 1 ‘want to go to’ place for my students. However, as I spent my first 2 years in Japan in smaller more out of the way places, I want my students to learn that there’s more to Japan than the big urban areas. 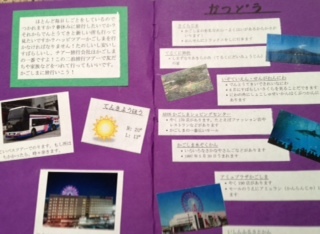 And so the Year4 travel fair – a summative activity at the end of a 2-week unit – was born. 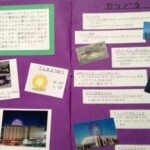 It allows students to utilize key words they will need if/when they visit Japan – and also allows them to research and introduce key areas to their classmates during an interactive oral. The premise: Design an optional tour for a visitor to Japan – one that is outside major urban areas (I list the ‘no go’ places). This can be a 2 or 3 day tour. I send students to the national tourist website to begin their quest to find an area to represent. Some choose cities, others choose a ‘state’ or region. They have to pass their choice by me – and I get the final say as to whether its a go (sometimes they choose a satellite city of a major one – and that’s a ‘no’ from me). Note that I say that the tour cost is 30,000 yen – all tours will be the same price. Okay – it’s not ‘realistic’ for some but my goal is the for them to promote their tours solely on the tour and not the cost. Then they research – what to do, where to stay/transport etc. in their place of choice. This usually involves a combination of internet searches as well as guidebooks that our librarian gathers for me. Preparing the Info – This is the time when they are preparing their ‘tour brochure’. They must include an itinerary as well as create a ‘blurb’ for the start of pamphlet – something to help sell their tour (Eg “Do you like sitting in hot springs? Have you ever wondered what it’s like to do that in winter? Well..have we got a tour for you!”). They add in visuals as well as 4 FAQs for their tour. I ask that any information they provide from sources be credited (including photos that must be sourced from the public domain.) Students also prepare a “sign” for their tour which can only have their travel company name, their destination and a visual – the idea being that all information shared must be done so orally. We continue preparing the information pamphlet with students determining what their homework is based upon the travel fair date. They know that Day 4 will not be a ‘making’ day but rather a ‘practicing’ one. Students also practice asking/answering questions about their tour. They know that during the fair other students will visit their booth to find out about their tour. 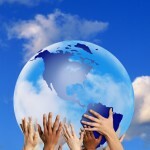 I give some sample questions to help them – many have not travelled on their own so don’t know what to ask. They also practice asking questions of the potential customer – so that they can sell their tour to them! The fair is ‘self-marked’ – for their ability to complete the task as required. We work on self-evaluation skills a lot during my classes and my Yr4’s are very aware of how well they could do what I asked them to. For me the ‘second check’ comes during the writing piece. Keep in mind they are asked 2 exit questions (such as “how did that go?” or “a challenge for me was…”) that they must answer prior to completing the rubric. My check-in with them comes during the summative evaluation. For this they are given their tour sheet back – I’m measuring how well they communicate – not their ability to remember what the tours had to offer. The ‘twist’ I throw in is to have them write, not about “What Tour I want to Go On (and why)” but to write as a ‘bored teenager who has been dragged on a tour by their parents’. They love this chance to take something fun and write with a sense of ‘ennui’! 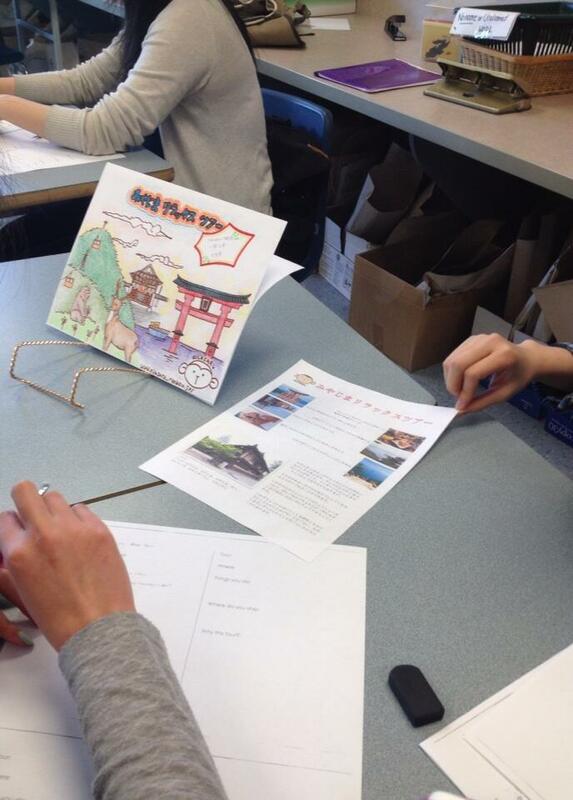 The Travel Fair gives my students the opportunity to find out about less well-known places in Japan, see what it would take to visit their and use their language skills to promote the area to classmates. My hope is that it gives them a new place to see should they ever visit the country!